They were just finishing up a screen porch when they hired me to do a design. A month or so later we chatted and they had decided to stay in this house and put in a pool. Around the pool they wanted to have artificial grass. We had been exploring using it just this last year when we came across samples and saw how much more realistic it looked than it used to. Up close view…see it even has dead pieces! 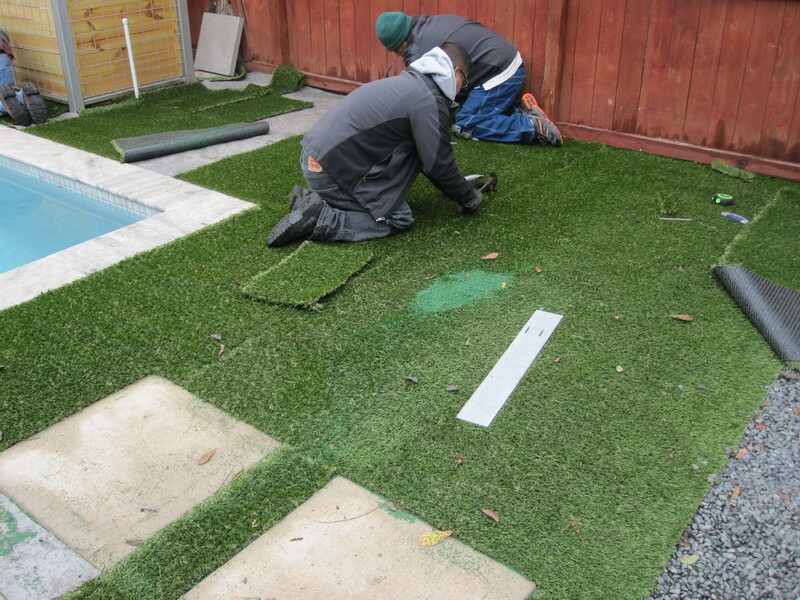 To install the grass we must have a sturdy level surface. First we excavated the area and added a base of crushed concrete, which is compacted. 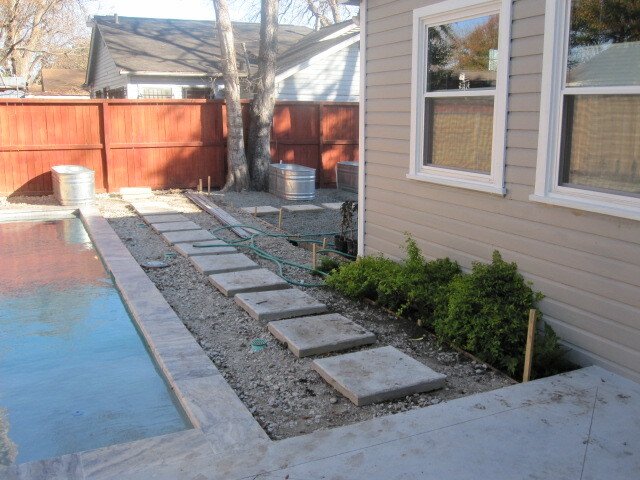 Next it is leveled with sand or decomposed granite. Then a weed barrier cloth is installed before the grass goes in to place. Then the grass which comes in a 15 foot wide roll is cut to fit and stapled into place. Hard at work stapling the grass to secure it. 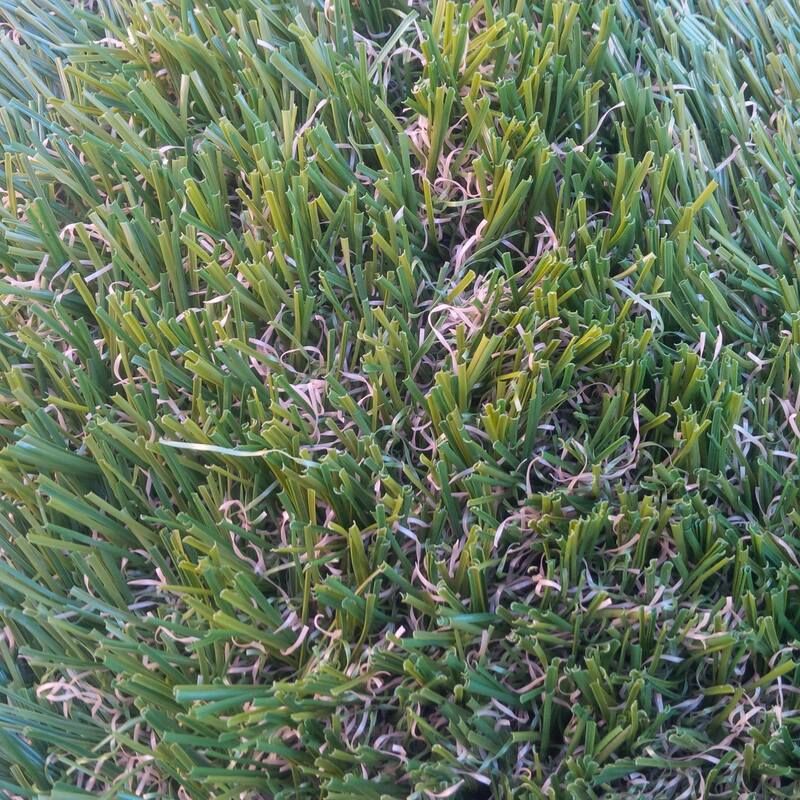 Once it has been secured it is brushed and tidied, voilà a no mow evergreen lawn! 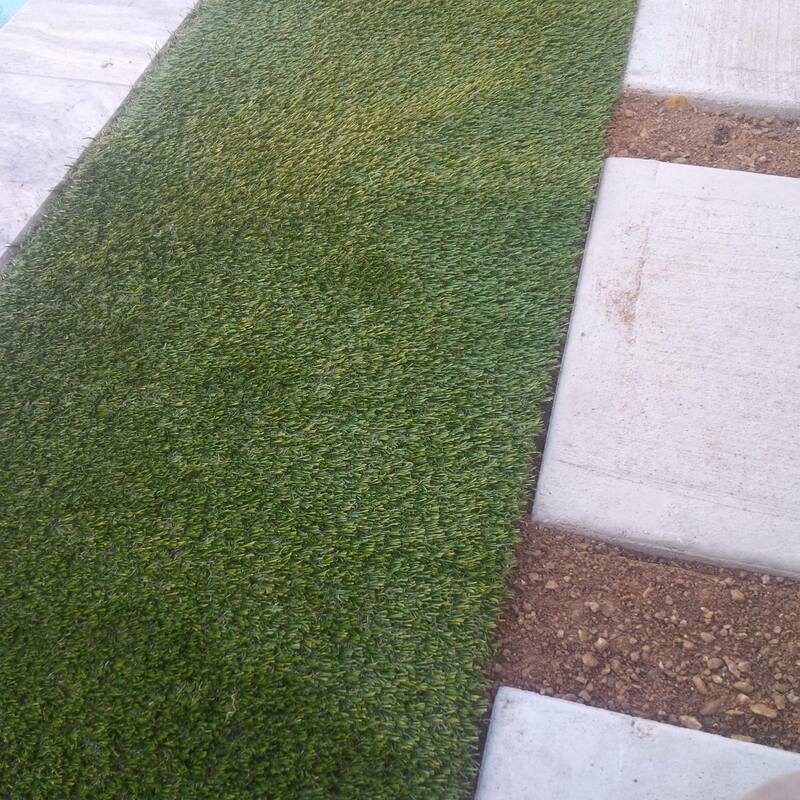 My son’s high school recently installed faux lawn in a courtyard the students use for lunch, where the lawn grass was just beaten to a pulp by endless foot traffic. It looks terrific, and the only other alternative would have been concrete or gravel. In cases like that, and in small, defined areas like you show here, I think faux lawn can be a good choice. I wouldn’t want to see someone just swath their property in it though. Pam, I totally agree. I do like that the artificial grass is water permeable. But for larger spaces there are so many other alternatives like ground covers that support wildlife! 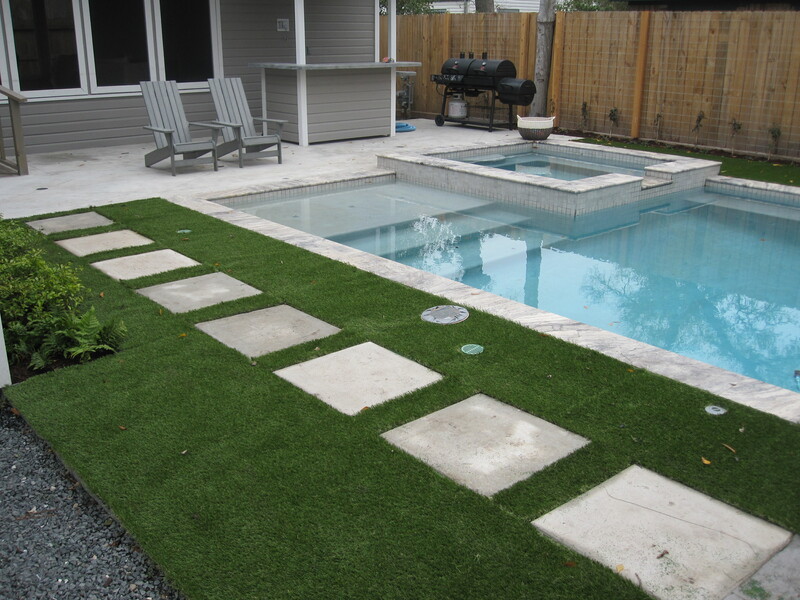 Well, artificial grass is the best to use for the lawn as it lowers the maintenance cost. Thanks for sharing the installation process. The project outcome looks so beautiful. The home owners of this house will definitely love the artificial turf installed as they would be easy to maintain all year round.